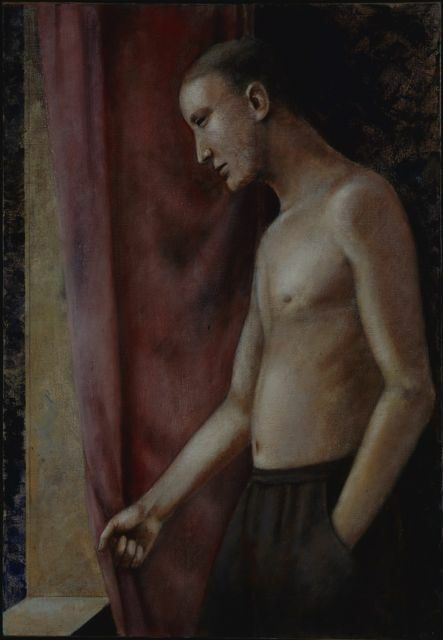 This month’s featured painting is entitled “Figure at a Curtain”. It was one of the paintings published alongside with the interview and cover Ian was featured in “Art Line International Art News” in 1986. The interview can be viewed on the C.V. tab under Publications. 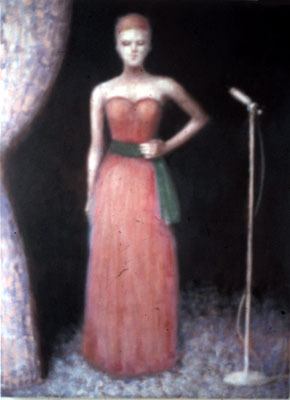 It is unknown the owner or whereabouts of this painting.